The city of Hangzhou, the capital of the Zhejiang Province in China was always a popular spot for foreign visitors. The city has been described by the world explorer Marco Polo in his chronicles as the finest city in the world. 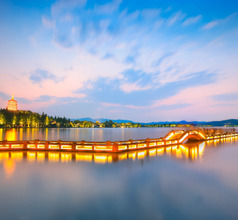 Being the site of the West Lake Scenic Area, a UNESCO World Heritage Site has made the city one of the very popular tourist destinations in the Far East. This area is the epitome of classic Chinese gardens with a superb mix of natural beauty and manmade temples, bridges, and pavilions, some of which are ancient. 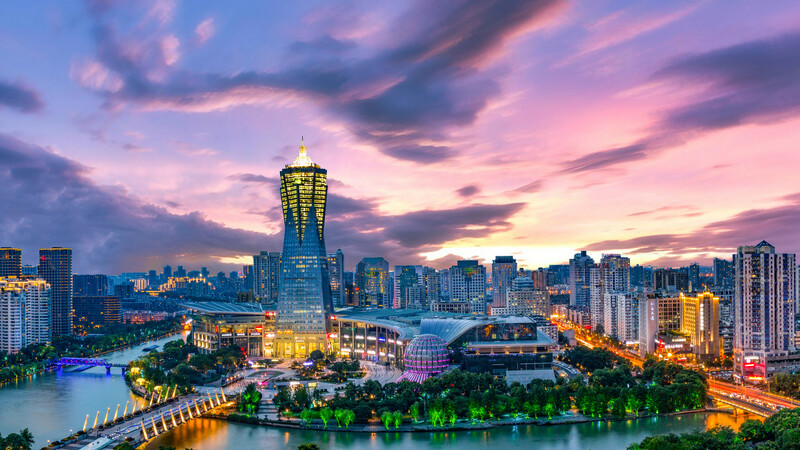 Another reason why Hangzhou City has gained popularity as a tourist site is because it has a well-organized infrastructure, an educated and cultured population, recreational facilities, markets, shopping malls, and more. The city came further into the limelight when it was declared one of the venues for the 2022 Asian Games. 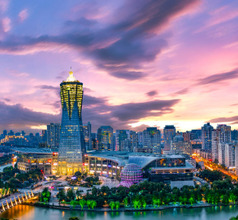 Hangzhou City is a charming mix of the old and the new. It was the capital city of the Southern Song Dynasty in the 12th century. Even in those days, it was a booming urban area with an approximate population of one million. Its proximity to the West Lake made it a popular spot for visitors and consequently the city developed into a commercial and business hub as well. 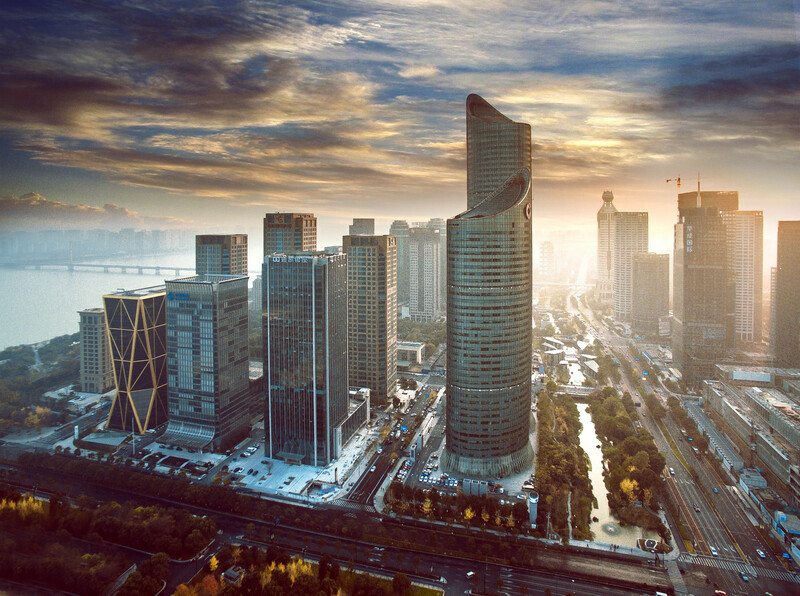 Later, the trading channels shifted base from Hangzhou to Shanghai, but the city has still retained its status as a popular spot for tourism. 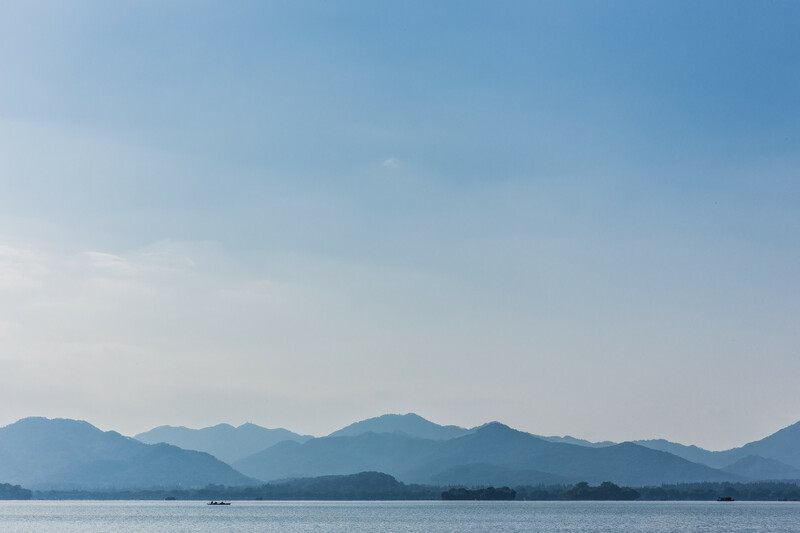 The West Lake Scenic Spot takes one back to ancient times with the spectacularly reconstructed Leifeng Pagoda. The original pagoda was established in 975 AD. When this was destroyed an exact replica was reconstructed in its place. 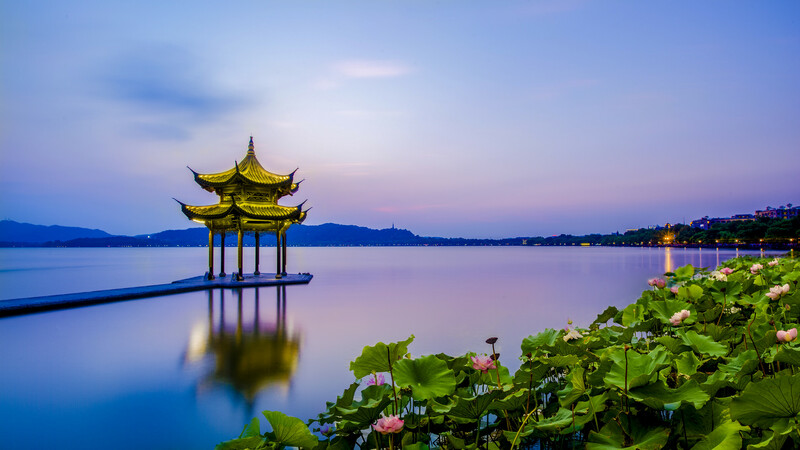 Hangzhou City is surrounded by small water towns and tea plantations that still maintain their old-world charm and form a part of the city’s tourist circuit. 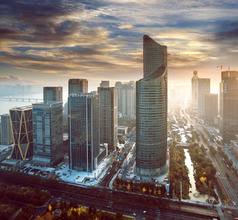 Hangzhou City is an urban area with well-developed tourism and hospitality sectors. To provide adequate accommodation for a large number of domestic and overseas tourists that visit the city, there are countless star-rated luxury hotels, low-priced hotels, inns, guesthouses, service-apartments, and youth hostels. The rooms in a majority of the places are clean. The ambience, décor, and amenities depend on the star-rating. The 4 and 5-star hotels provide in-house restaurants serving International gourmet meals, 24x7 coffee shops, airport shuttle service, in-room dining, customized sightseeing tours, swimming pools, spa treatments, recreational facilities, and more. The staff in the cheaper places may not necessarily understand the English language so it is best to carry an English-Chinese dictionary or download a voice-based translation app. 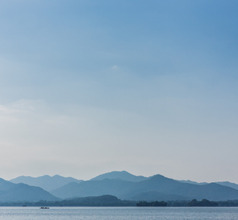 The West Lake Scenic Area is the highlight of Hangzhou City. 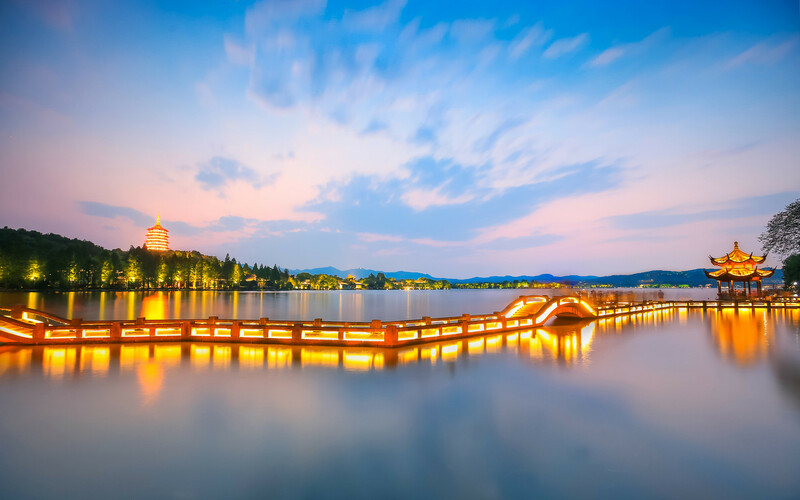 The West Lake spot consists of several smaller scenic areas like Guo’s Villa, Orioles Singing in the Willows, Su Causeway, Fish & Lotus Pond, Leifeng Pagoda, etc. 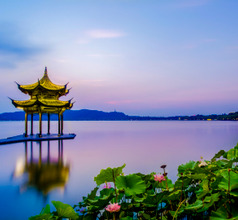 The lake is so vast that there are many picturesque islands in its waters, classic Chinese bridges, moats, flowering gardens, ancient trees, and more. The Broken Bridge is a photographer’s delight in the West Lake Area. There are benches near the bridge so that people can either just sit and admire the picturesque sight or can walk along the promenade and click pictures that will bring back memories of a pleasurable holiday. There is a ferry service that takes visitors all around the lake so one can spend a wonderful day exploring all its treasures. Visitors also opt for the boat ride of gondola ride around the lake. This scenic spot also has teahouses and other facilities for the comfort of visitors. 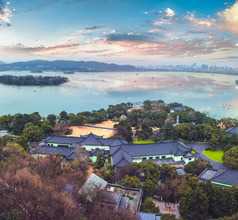 Other scenic spots near West Lake include the Lesser Yingzhou Isle (also called Three Pools Mirroring the Moon), Mid-Lake Pavilion, Lord Ruan's Mound, Hubin Park, Bai Causeway, Solidary Hill & Zhongshan Park, Yang Causeway, King Qian's Memorial, Zhejiang Museum, Zhejiang West Lake Gallery, etc. 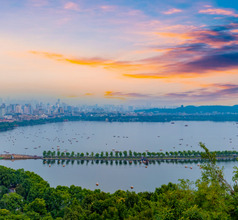 Another area in Hangzhou City that is very popular with tourists is the Wushan Square which lies very close to the West Lake. This is the best spot to buy souvenirs, to try out the local tea or snacks, or to just ramble along the old-style typically-Chinese marketplaces. It will be worthwhile keeping a day free to visit the Longjing (Dragon Well) Tea Fields on the outskirts of Hangzhou. After Leifeng Pagoda, the Jingci Temple is the second more important temple in Hangzhou City. It is located very close to the West Lake area. The highlights of this temple are the 100Kgs copper bell and the Lotus Sutra with 68,000 carvings. Another attraction that is worth visiting is the Lingyin Temple. Also referred to as City Station (Chengzhan) by the locals, Hanghzou Railway Station is more centrally located than Hangzhou East, and serves both high and low speed trains. Although an older station, it can sometimes be more convenient to travel here due the location. It also connects with Line 1 of Hangzhou Metro. One of the biggest high-speed railway stations in China, Hangzhou East is an enormous modern station which is easy to navigate. It operates as a hub for high-speed trains travelling to Pearl River Delta, as Shanghai can be reached in less than 50 minutes. It is connected to Metro Lines 1 & 4. Located in the capital of Zhejiang, Hangzhou Xiaoshan International is the 10th busiest Chinese airport, with three terminals and efficient systems. It has ties to all of China. Internationally it mainly serves Southeast Asia and East with scant connections to other regions. All major Chinese airlines stop at Hangzhou. The distance of 27 kms to downtown is facilitated by shuttle buses at cost of RMB20 (the bus terminal is located in departures area) and taxis. Hangzhou, being the capital of Zhejiang Province, has typical cuisine that identifies the province. The cuisine is considered to be among the top eight schools of Chinese culinary styles. The food is characterized by its light and slightly sweetish flavors. The presentation is very artistic and the cooking methods are such that all the flavors are balanced. Seafood is a prominent feature in their cuisine. The signature dish of Hangzhou City is the famous Sweet and Sour West Lake Fish. Different varieties of fish and shellfish are used to make this scrumptious dish. Other popular local dishes include Fried Shrimps with Longjing Tea, Aunt Song Fish Broth (famous since the 13th century), Beggars’ Chicken, Tofu with Eight Delicious, Stewed Fish Head and Tofu Casserole, Stewed Bamboo Shoots, Osmanthus and Chestnut Soup, Dingsheng Gao (cake), West Lake Lotus Root Powder, Crisp Cake, etc.